Such, put in bald, simple form, is the dialogue between every Christian and the law of God. How gloriously complete is the salvation wrought for us by Christ! Christ paid the penalty, and He merited the reward. Those are the two great things that He has done for us. So it is with the whole of the discourse. The new law of the Sermon on the Mount, in itself, can only produce despair. Strange indeed is the complacency with which modern men can say that the Golden Rule and the high ethical principles of Jesus are all that they need. In reality, if the requirements for entrance into the Kingdom of God are what Jesus declares them to be, we are all undone; we have not even attained to the external righteousness of the scribes and Pharisees, and how shall we attain to that righteousness of the heart which Jesus demands ? The Sermon on the Mount, rightly interpreted, then, makes man a seeker after some divine means of salvation by which entrance into the Kingdom can be obtained. Even Moses was too high for us; but before this higher law of Jesus who shall stand without being condemned? The Sermon on the Mount, like all the rest of the New Testament, really leads a man straight to the foot of the Cross. But I really must decline to speculate any further about what might have been if Christ had done something less for us than that which He has actually done. As a matter of fact, He has not merely paid the penalty of Adam’s first sin, and the penalty of the sins which we individually have committed, but also He has positively merited for us eternal life. He was, in other words, our representative both in penalty paying and in probation keeping. He paid the penalty of sin for us, and He stood the probation for us. Machen – Can We Live Up to the Golden Rule? Even the disciples, to whom the teaching of Jesus was first addressed, knew well that they needed more than guidance in the way that they should go. It is only a superficial reading of the Gospels that can find in the relation which the disciples sustained to Jesus a mere relation of pupil to Master. When Jesus said, “Come unto me, all ye that labor and are heavy laden, and I will give you rest,” he was speaking not as a philosopher calling pupils to his school) but as One who was in possession of rich stores of divine grace. And this much at least the disciples knew. They knew well in their heart of hearts that they had no right to stand in the Kingdom; they knew that only Jesus could win them entrance there. They did not yet know fully how Jesus could make them children of God; but they did know that He could do it and He alone. And in that trust all the theology of the great Christian creeds was in expectation contained. At this point, an objection may arise. May we not–the modern liberal will say– may we not now return to that simple trust of the disciples? May we not cease to ask how Jesus saves; may we not simply leave the way to Him? What need is there, then, of defining “effectual calling,” what need of enumerating “justification, adoption and sanctification and the several benefits which in this life do either accompany or flow from them”? What need even of rehearsing the steps in the saving work of Christ as they were rehearsed by the Jerusalem Church; what need of saying that “Christ died for our sins according to the Scriptures, that he was buried, that he has been raised on the third day according to the Scriptures”? Should not our trust be in a Person rather than in a message; in Jesus, rather than in what Jesus did; in Jesus’ character rather than in Jesus’ death? Plausible words these are–plausible, and pitifully vain. Can we really return to Galilee; are we really in the same situation as those who came to Jesus when He was on earth? Can we hear Him say to us, “Thy sins are forgiven thee”? These are serious questions, and they cannot possibly be ignored. The plain fact is that Jesus of Nazareth died these nineteen hundred years ago. It was possible for the men of Galilee in the first century to trust Him; for to them He extended His aid. For them, life’s problem was easy. They needed only to push in through the crowd or be lowered through some Capernaum roof and the long search was over. But we are separated by nineteen centuries from the One who alone could give us aid. How can we bridge the gulf of time that separates us from Jesus? 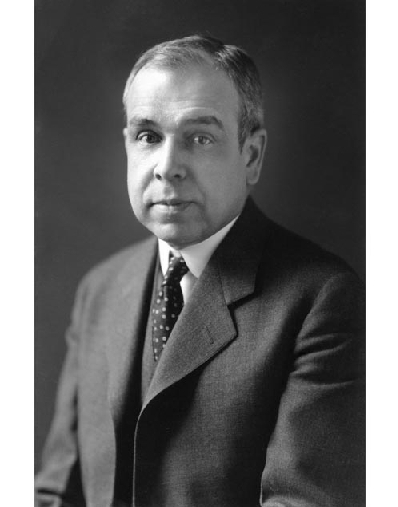 Author BradPosted on March 21, 2014 Categories J. Gresham MachenTags Golden Rule, Gospel, J. Gresham Machen1 Comment on Machen – Can We Live Up to the Golden Rule? This business of letting by-gones be by-gones has a pleasant sound. But in reality it is the most heartless thing in the world. It will not do at all even in the case of sins committed against our fellow-men. To say nothing of sin against God, what shall be done about the harm that we have wrought to our neighbor? Sometimes, no doubt, the harm can be repaired. If we have defrauded our neighbor of a sum ofmoney, we can pay the sum back with interest. But in the case of the more serious wrongs such repayment is usually quite impossible. The more serious wrongs are those that are done, not to the bodies, but to the souls of men. And who can think with complacency of wrongs of that kind which he has committed? Who can bear to think, for example, of the harm that he has done to those younger than himself by a bad example? And what of those sad words, spoken to those we love, that have left scars never to be obliterated by the hand of time? In the presence of such memories, we are told by the modern preacher simply to repent and to let by-gones be by-gones. But what a heartless thing is such repentance! We escape into some higher, happier, respectable life. But what of those whom we by our example and by our words have helped to drag down to the brink of hell? We forget them and let by-gones be by-gones! The sorrow for sins committed against one’s fellowmen does indeed remain in the Christian’s heart. And he will seek by every means that is within his power to repair the damage that he has done. But atonement at least has been made–made as truly as if the sinner himself had suffered with and for those whom he has wronged. And the sinner himself, by a mystery of grace, becomes right with God. All sin at bottom is a sin against God. “Against thee, thee only have I sinned” is the cry of a true penitent. How terrible is the sin against God! Who can recall the wasted moments and years ? Gone they are, never to return; gone the little allotted span of life; gone the little day in which a man must work. Who can measure the irrevocable guilt of a wasted life? Yet even for such guilt God has provided a fountain of cleansing in the precious blood of Christ. God has clothed us with Christ’s righteousness as with a garment; in Christ we stand spotless before the judgment throne. Thus to deny the necessity of atonement is to deny the existence of a real moral order. And it is strange how those who venture upon such denial can regard themselves as disciples of Jesus; for if one thing is clear in the record of Jesus’ life it is that Jesus recognized the justice as distinguished from the love, of God. God is love, according to Jesus, but He is not only love; Jesus spoke, in terrible words, of the sin that shall never be forgiven either in this world or in that which is to come. Clearly Jesus recognized the existence of retributive justice; Jesus was far from accepting the light modern view of sin. But what, then, it will be objected, becomes of God’s love? Even if it be admitted that justice demands punishment for sin, the modern liberal theologian will say, what becomes of the Christian doctrine that justice is swallowed up by grace? If God is represented as waiting for a price to be paid before sin shall be forgiven, perhaps His justice may be rescued, but what becomes of His love? Modern liberal teachers are never tired of ringing the changes upon this objection. They speak with horror of the doctrine of an “alienated” or an “angry” God. In answer, of course it would be easy to point to the New Testament. The New Testament clearly speaks of the wrath of God and the wrath of Jesus Himself; and all the teaching of Jesus presupposes a divine indignation against sin. With what possible right, then, can those who reject this vital element in Jesus’ teaching and example regard themselves as true disciples of His? The truth is that the modern rejection of the doctrine of God’s wrath proceeds from a light view of sin which is totally at variance with the teaching of the whole New Testament and of Jesus Himself. If a man has once come under a true conviction of sin, he will have little difficulty with the doctrine of the Cross. But as a matter of fact the modern objection to the doctrine of the atonement on the ground that that doctrine is contrary to the love of God, is based upon the most abysmal misunderstanding of the doctrine itself. The modern liberal teachers persist in speaking of the sacrifice of Christ as though it were a sacrifice made by some one other than God. They speak of it as though it meant that God waits coldly until a price is paid to Him before He forgives sin. As a matter of fact, itmeans nothing of the kind; the objection ignores that which is absolutely fundamental in the Christian doctrine of the Cross. The fundamental thing is that God Himself, and not another, makes the sacrifice for sin–God Himself in the person of the Son who assumed our nature and died for us, God Himself in the Person of the Father who spared not His own Son but offered Him up for us all. Salvation is as free for us as the air we breathe; God’s the dreadful cost, ours the gain. “God so loved the world that He gave His only begotten Son.” Such love is very different from the complacency found in the God of modern preaching; this love is love that did nob count the cost; it is love that is love indeed. This love and this love alone brings true joy to men. Joy is indeed being sought by the modern liberal Church. But it is being sought in ways that are false. How may communion with God be made joyful? Obviously, we are told, by emphasizing the comforting attributes of God–His long-suffering, His love. Let us, it is urged, regard Him not as a moody Despot, not as a sternly righteous Judge, but simply as a loving Father. Away with the horrors of the old theology! Let us worship a God in whom we can rejoice. At no point does the issue in the modern religious world appear in more characteristic fashion than just here. Many persons hold up their hands in amazement at our assertion that Jesus was not a Christian, while we in turn regard it as the very height of blasphemy to say that He was a Christian. “Christianity,” to us, is a way of getting rid of sin; and therefore to say that Jesus was a Christian would be to deny His holiness. “But,” it is said, “do you mean to tell us that if a man lives a life like the life of Jesus but rejects the doctrine of the redeeming work of Christ in His death and resurrection, he is not a Christian?” The question, in one form or another, is often asked; but the answer is very simple. Of course if a man really lives a life like the life of Jesus, all is well; such a man is indeed not a Christian, but he is something better than a Christian- he is a being who has never lost his high estate of sonship with God. But our trouble is that our lives, to say nothing of the lives of these who so confidently appeal to their own similarity to Jesus, do not seem to be like the life of Jesus. Unlike Jesus, we are sinners, and hence, unlike Him, we become Christians; we are sinners, and hence we accept with thankfulness the re-deeming love of the Lord Jesus Christ, who had pity on us and made us right with God, through no merit of our own, by His atoning death. That certainly does not mean that the example of Jesus is not important to the Christian; on the contrary, it is the daily guide of His life, without which he would be like a ship without a rudder on an uncharted sea. But the example of Jesus is useful to the Christian not prior to redemption, but subsequent to it. The atoning death of Christ, and that alone, has presented sinners as righteous in God’s sight; the Lord Jesus has paid the full penalty of their sins, and clothed them with His perfect righteousness before the judgment seat of God. But Christ has done for Christians even far more than that. He has given to them not only a new and right relation to God, but a new life in God’s presence for evermore. He has saved them from the power as well as from the guilt of sin. The New Testament does not end with the death of Christ; it does not end with the triumphant words of Jesus on the Cross, “It is finished.” The death was followed by the resurrection, and the resurrection like the death was for our sakes. Jesus rose from the dead into a new life of glory and power, and into that life He brings those for whom He died. The Christian, on the basis of Christ’s redeeming work, not only has died unto sin, but also lives unto God. Christianity & Liberalism by J. Gresham Machen, p. 114 book, p. 90 pdf below. Covenant Nurture Blog at WordPress.com.